Want to be in a play? You don’t have to audition, get the part, or rehearse. Just go to “The Elaborate Entrance of Chad Deity,” playing through March 23 at CAST in Charlotte. It’s very theatrical, and you’ll be in it. As a member of the audience, you get to play the part of a wrestling fan. In this bizarre piece of engaging, high energy theater, the characters interact with the audience more than they do with each other. When they speak, it’s mostly to us, the audience, with a collection of soliloquies, or side talking as they sit among us, or having conversation as they move through the house. When they connect with each other, it’s less words and more physical — with body slams, power bombs, and kicks. Yes, you’re watching something — and you’re inside the experience of a scripted show with people performing around you. It’s done in the round. The entire set is a wrestling ring. The play, written by Kristoffer Diaz, was a 2010 finalist for the Pulitzer Prize in drama. Bob Paolino, of Salisbury, plays EKO, the sleazy mastermind behind all this fakery. For him, diversity in America is an opportunity to create bad guys, attract fans, and cash in on America vs. Everybody Else. With a cigar in his mouth and a wad of money in his fist, he gives a dynamic, comic performance that fills the room. When you step into to the ringside space, Paolino, who plays the owner of THE Wrestling, becomes your Maitre ‘D. You may even experience a swell of Salisbury pride. Occasionally, the microphone descends from the ceiling and into the ring, and we get a booming announcement from EKO or one of these colorful wrestling personalities..
Michael Smallwood plays MACE, the lead narrator and sole authentic voice in this cartoony bunch. He’s the human glue, given by reluctant generosity, that gives life to this play and this production. MACE gives us a peek into the world of a guy who wins by losing, the one with superior skill. His job is to lose to the American superstar Chad Deity, played by J.R. Jones. That takes humility and teamwork. He gets paid not with glory, but with the fulfillment of getting to do the thing he loves. The smoke and lighting create glamour and thrill, but it would take film editing to make Chad Deity’s tooth emit a sparkle when he smiles and preens his biceps. Jones is brave and corny enough to have you imagine it. Deity is the inferior athlete who revels in getting to win every time. He’s the lucky winner, a complete fake — and he brags about it. Denny Valentin plays VP, the smaller but tougher “Fundamentalist” with an unusual set of charismatic gifts. He’s got an attitude that turns out to be a double edged sword — one moment the hero, the next moment the foil. Amid all this charisma, farce, and humor, it’s easy to forget how physically amazing these performances are — and I almost did. Director Michael R. Simmons creates a swirl of words and drama and stage fighting (or wrestling) that’s more complicated than your basic stage play. It’s continuous motion, a choreographic achievement that’s so integral to the show that it’s easy to take for granted. These guys are not only telling us the stories of their lives, but they’re throwing each other around while they do it. Even Paolino, the old guy in the group, gets hammered to the mat. So here we have a hundred people gathered around a wrestling ring at CAST — Carolina Actors Studio Theatre, for a bright, flamboyant evening of theatre. We have a superb show. It’s fun, real, and intimate — an example of excellent actors doing excellent work. In terms of numbers, that’s nothing compared to the millions who watch professional wrestling. Which is also theatre. So why is one so much more popular than the other? With theatre, we know it’s not real. We’re told it’s not real. And we tell ourselves that, for a couple of hours, it is. With professional wrestling, we’re asked to believe that it is real. We know it’s not. But nobody comes out of character in the end and takes a bow. If we want to pretend the whole thing is legit, we can. And some people do. It’s reality television. We’re told it’s real and we love watching it, thinking it is, knowing it’s not. So I’m here to say that there’s something about an actor being a human being first, and then a character, and then breaking with character and being him or herself again, that creates a new dimension and requires more from the audience. It’s all theatre, but when it’s on stage, it takes shape, and we, the audience, are asked to bring our own thought and creativity to the experience. We have to. Watching sport is awesome entertainment. Great theatre is that too, plus the chance to think, create, and transform ourselves. “The Elaborate Entrance of Chad Deity” performances are at 8 p.m. Thursdays, Fridays and Saturdays through March 23 at the theater, 2424 North Davidson St. in Charlotte. Tickets cost between $18 and $28. They are available online at https://secure.ticketsage.net/ or by calling 704-455-8542. No late seating. This performance contains profanity, body slams, head locks, power-bombs, super-kicks and some sweet chin music. For more information, visit www.nccast.com. Every so often, I re-post this picture. I remember well the moment I had the idea to pull out my phone and take it — thinking it was a special moment in time. And it was. 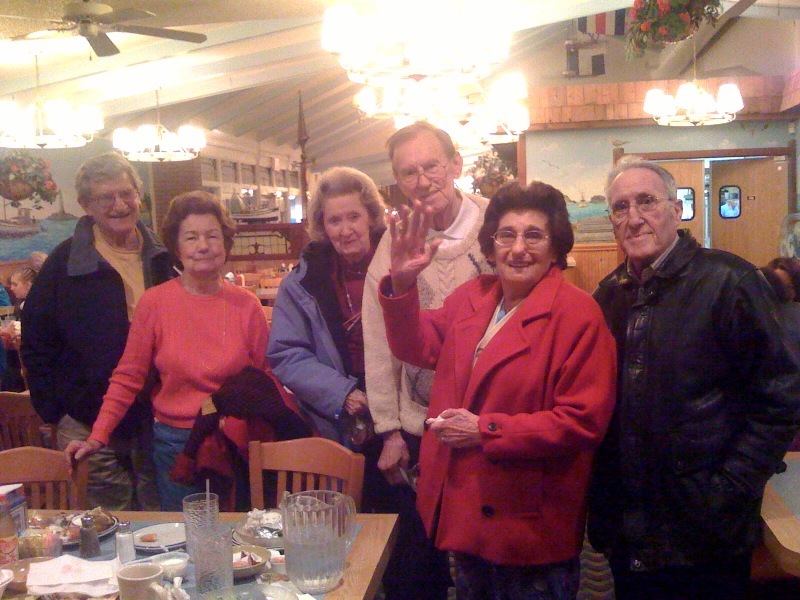 The blog I wrote then, January 23, 2010, is here. First Mom. Then Naomi. Then Paul. And last night, in the presence of Leon, Phyllis, and Jackie — his closest family, and the ones who cared for him as he weakened — Billy Burke passed away. He will be remembered for his talent at bridge and music, his ability to entertain. The joy he created when he sat at a piano. He played all over town (and, when he was younger, all over the state). Countless thousands marveled at his music. I was privileged to enjoy his performances at family dinners also. Equally special was his knack not only as an artist, but as one who supported other artists. He never missed a moment of theatre in Salisbury. Until he stopped driving, he didn’t miss much in the entire Piedmont region of North Carolina. He was a Broadway encyclopedia. I don’t think he missed many movies. The few plays I’ve produced in Salisbury, he attended. And he always, always asked me what I was writing. When a writer who doesn’t make his living as a writer gets asked that question, that’s a gift. It feels good. He always asked, as recently as a few months ago, at his final birthday party. So many who would have missed him so much are no longer with us. He outlived them. But there are a lot of us left who will never forget the special joy he was as a human being. Some of the characters include a mechanic, a drunk theatre manager, a possum, a would-be singer, and a stoner. 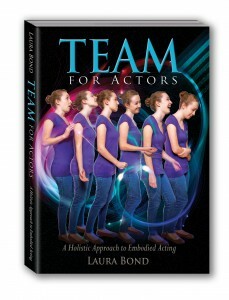 Laura Bond’s book, TEAM for Actors A Holistic Approach to Embodied Acting, has just been published. I’m proud to have a copy on my shelf — and I’m totally honored and excited to have two of my plays included in it (Appendix C: Scenes by Sam Post for Practice). Thank you, Laura. Break a leg with this book! Laura and I have become email friends and I hope to meet her in person one of these days. She’s awesome. and unique contribution to field. I have no doubt students in schools far and wide will create themselves in these pages for years to come. She’s Chair of the Drama Department at the University of North Carolina, Asheville. She is an Equity actor, theatre director, international workshop instructor, and teacher of acting since 1992.
acting and helps resolve a common gap between the mind and body so you can create a dynamic, holistic performance. 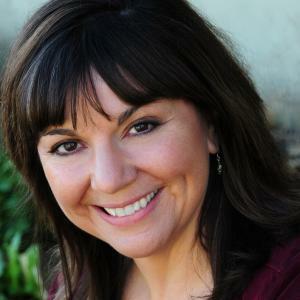 Based on Laura Bond’s twenty years of teaching acting and somatic emotion-regulation techniques, TEAM for Actors provides tangible methods for integrating the thoughts, emotions, and actions of expressive behavior into acting. The book incorporates scientific research, traditional acting approaches, and aspects of the Alba Emoting technique, a reliable method for embodying emotions and actions of expression. With Bond’s guidance, you can easily move from theoretical concepts into practical application. She illustrates the TEAM’s use through true stories, practical examples, and original exercises derived from years of experimentation. Susan Cannon was nice enough to post these on Facebook, where I could see them — and then put them here. I wrote and rewrote ‘Nice Name for a Sky for a couple of different venues, but this is the first time I know that it’s been done. Very pleased. Thanks, Susan. “Well, last night was the Habitat for Humanity of the Bighorns (in Sheridan, WY) fundraiser where my son, daughter-in-law and I performed Nice Name for a Sky…. The other 10 minute plays were David Ives’ Variations on the Death of Trotsky, Robert Anderson’s I’m Herbert, Jeff Goode’s Murder By Midnight and a piece called Young at Heart by a local student. This new play has been different from any production of any play I’ve ever had. I’ve had plays in other cities or states where I just showed up and saw the show. And I’ve had some around here where I basically watched the sausage being made. But I’ve been busy. So I wrote it, gave it to the director, Justin Dionne, and basically left it at that. I’ve had very little input. Even if I had had time for input, it wouldn’t have been a good idea. The direction and design is way beyond anything I had in mind for the little black box theatre on Lee St.
Because I didn’t really have time to go to rehearsal, I even gave Justin permission to change any lines he thought needed changing. A new play needs a little work, and I trusted him to do that. Saturday night, I went to rehearsal and saw the second act for the first time. 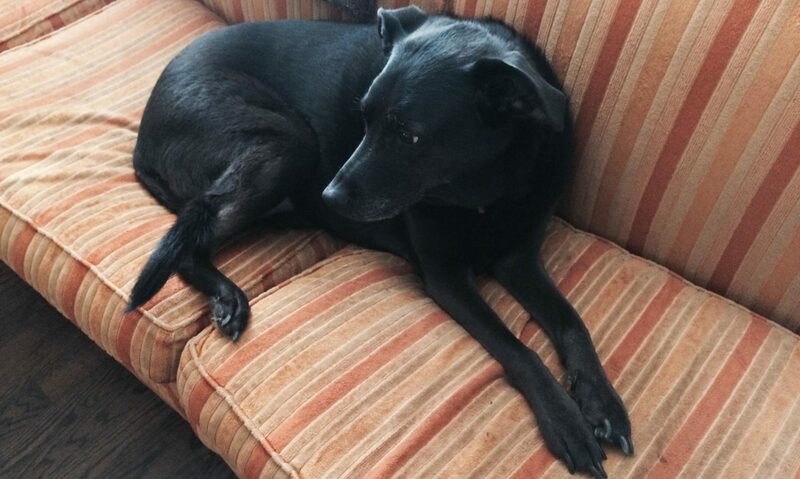 I was moved to tears — and I’m not exactly sure where the emotion came from. Maybe it came from the profound gratitude I felt for these people applying such talent and hard work to the task of realizing something I wrote. Or maybe it was just the realization that I’m putting this material out there for others to see. Or maybe it was that I wrote about a piece of my life and saw it given back to me. The play is about caring for a person with Alzheimer’s Disease, and although I intentionally did not make this autobiographical — I have had experience watching the progression of the disease — with my aunt, my grandmother, and now my mother. What it is, I think, is that my own play brought back memories in the staging that I didn’t experience in the writing — if that makes any sense. People may think or say I wrote a play about my mother. And there’s some truth to that. But I realize now it’s not about the mother who is now in the final stages of Alzheimer’s. It’s about the mother who took care of my grandmother when she had Alzheimer’s. And it occurs to me now (and not before now) that the granddaughter is me. So that’s my note on autobiography. It’s all so personal and subjective. I don’t know how audiences will react but will find out soon enough. Wednesday night. Whatever happens, I’m awfully proud — stunned, actually — by what these folks are doing. ‘Poochie,’ opens next week. 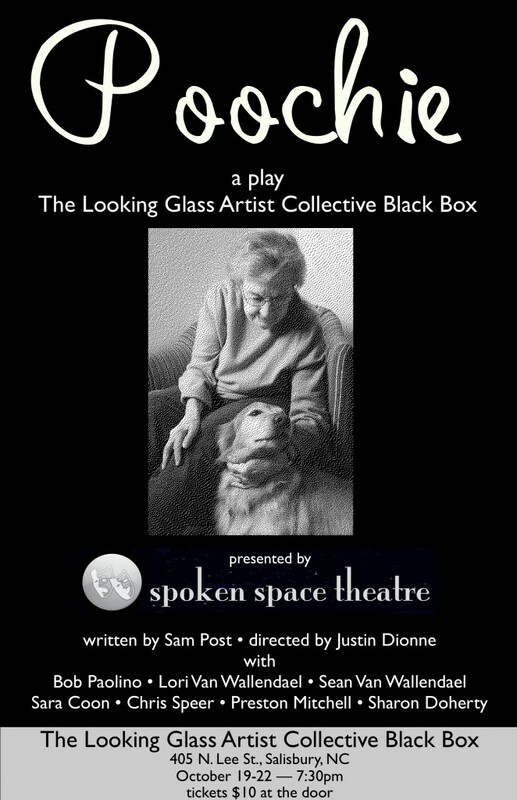 Spoken Space Theatre. In the black box at Looking Glass Artist Collective. Runs Wed. through Saturday, Oct. 19-22. Tickets $1o at the door. A video of a short play I wrote for the Lee Street Theatre ten minute play festival in Salisbury, NC. The theme of the festival was travel. Jason Williams shot the video. The actors are Amber Adams and Robert Jones. Missy Barnes directed. The Rock Knows from jason williams on Vimeo.